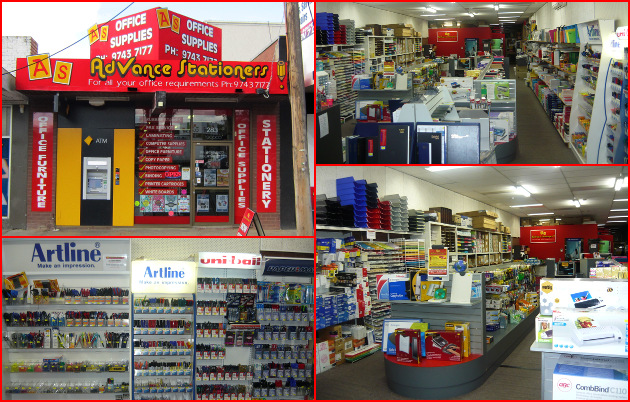 Advance Stationers is a family owned and independent business which was established in 1977. In 2007 Rob and Linda purchased the business and have since strived to provide customers with personalised service and value for money! Advance Stationers holds a large range of stationery and office products, catering for the small home office to large corporate businesses and schools. We have competitive prices and most of all, we provide service with a smile! We can source "unusual" and "hard to get" products as well! Same day deliveries apply for local orders placed by 1pm (depending on availability). No order is too big or too small, so why not give us a try!